GARDEN CITY, N.Y.— Conecuh Brands, LLC has announced the launch of Próspero Tequila in the United States. Próspero was created by Stella Anguiano, one of the first female tequila distillers, and produced at the Don Roberto Distillery in Jalisco, Mexico. “Behind every successful family is a strong woman who serves as the heart and backbone. Próspero is a tequila that celebrates that. I’m proud to be crafting a spirit made by women that all women can enjoy,” said Anguiano. Próspero is a hand-crafted spirit that offers an unparalleled flavor – a reflection of both the Mexican and European cultures that are the backbone of the Don Roberto distillery. Exquisite care is taken throughout the production process to ensure that each bottle reflects pride in the spirit – inside and out. The elegant, hexagonal bottles are hand-filled with the delicious spirit and the hand-drawn labels are applied by hand. Próspero Tequila is available in three expressions: Blanco ($34.99), Reposado ($39.99) and Anejo ($44.99), which was awarded a 97 by the Wine Enthusiast Magazine. All are available in the 750ml size. 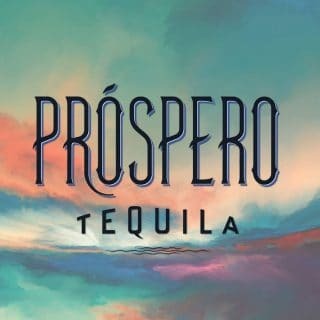 For more information on Prospero Tequila visit prosperotequila.com. Founded in 2014, Conecuh Brands is a fully integrated, marketing and sales company. 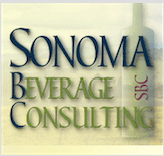 Led by Roy Danis, President and CEO, the company is focused on developing, marketing and maximizing the sales potential of quality premium spirits brands. Brands created and marketed by Conecuh Brands are delivered in world-class packaging at an outstanding value. In addition to Próspero Tequila the company also owns the Clyde May’s Portfolio, which includes Clyde May’s Alabama Whiskey, Clyde May’s Straight Bourbon and Clyde May’s Rye as well as McConnell’s Irish Whisky, which will launch in 2019. Rita Ora is an international pop singer with four #1 UK singles and holds the record for the most Top 10 singles for a British female artist in the UK with a total of 13. Her US debut album Phoenix has amassed almost 2 billion streams worldwide, spawned 3 platinum singles and includes “Lonely Together,” her collaboration with Avicii which won Best Dance VMA at the 2018 MTV Video Music Awards. In addition, her debut album, Ora, premiered at no. 1 on the UK charts and was certified platinum. Rita is also a multi-talented industry leader across TV, culture and fashion, with brand partnerships across key sectors. Her film credits include the Fifty Shades of Grey franchise, Fast & Furious, Southpaw and the upcoming Detective Pikachu.